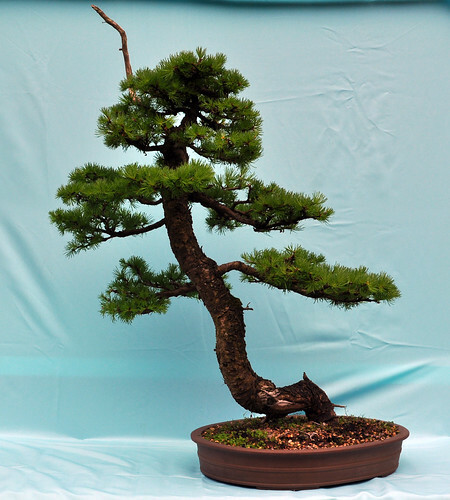 This Larch has been in Stephen’s collection for many years. 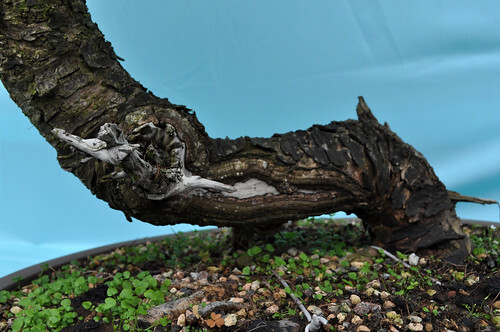 It was bought as raw material from Willowbog Bonsai and it’s first styling was carried out in a workshop with Salvatore Liporace. It’s second styling, closely following the first, long story, was in a one to one with Robert Porch. A few years later Marco Invernizzi also assisted with it’s progression. 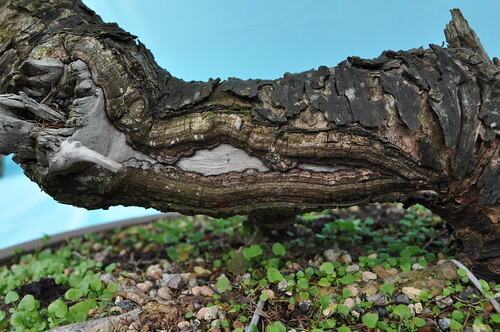 An unusual base that has become a talking point on more than one occasion. 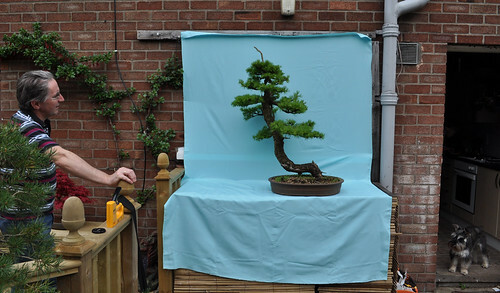 And to give you an idea of just how big it is, here is the photo set up for the day with Stephen watching on from the deck.